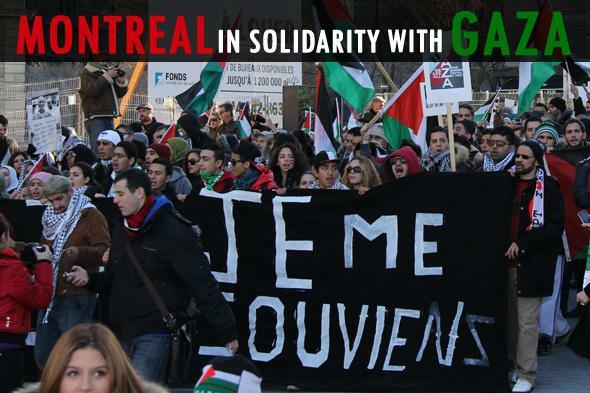 On Friday, November 16th Montrealers protested in front of the Israeli consulate and on Sunday they walked the streets by the hundreds to show support for Gaza. They demand the immediate stop of the attacks on Gaza and the end of Canada’s complicity with the Israeli government. Amir Khadir spokesperson of Quebec Solidaire, Mostafa Henaway human right activist from Tadamon, Rabbi Dovid Feldman from Jews United Against Zionism and others! Join us to hear what they have to say about Gaza, the Israeli occupation, the Boycott movement and the growing level of awareness about Palestine.